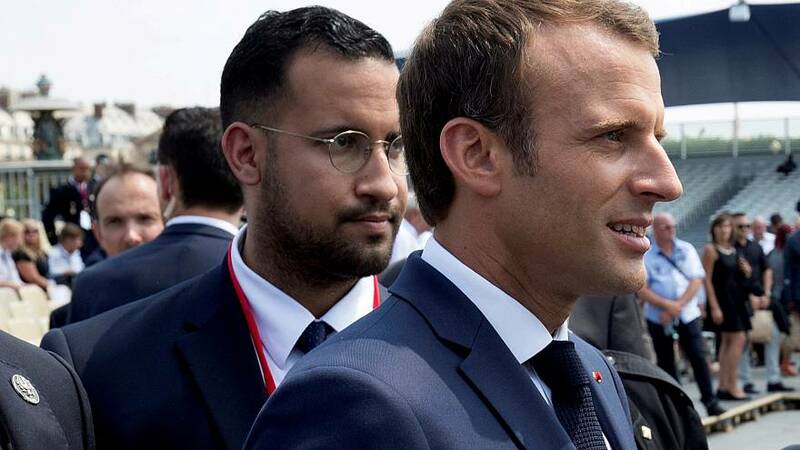 The Elysée remains in the front line in the case of President Emmanuel Macron's security adviser, Benalla, who's been indicted for hitting demonstrators. The French Interior Minister Gerard Collomb attended a hearing at the National Assembly's committee on Monday. He denies any failure and says it was up to the office of the President of the Republic and the police prefecture to act and inform him of the facts the next day on the 2nd of May. French Interior Minister Gerard Collomb says, "I didn't know him. I even thought it was someone in the police force. I had never met him, I didn't know... well, I had met him, but I didn't know that he was an adviser to the president of the republic". He added, "I was never informed. I only found out after the fact that indeed there were two observers present at the scene and then they went, in fact in an inopportune way in my opinion, in the command room where I had gone to watch the operations with the police prefect". The footage shows Alexandre Benalla in riot police uniform, on May the 1st in Paris. The 26-year-old was placed under investigation on Sunday in a case that's sparked a political storm.